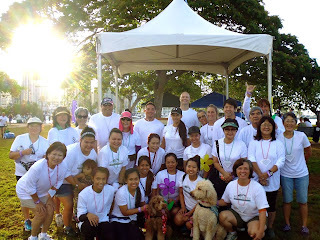 Hale Ku'ike's 2014 Walk to End Alzheimer's Team. GEM necklace with a description of the GEM level. Tomorrow is the Oahu Walk to End Alzheimer's. Hale Ku'ike is one of the sponsors. Please come by our booth and say hi to me!